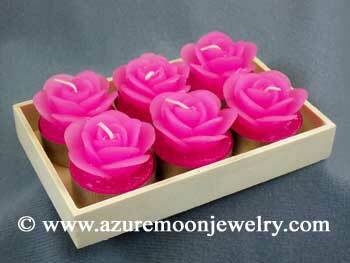 Bring a touch of romance to your table and home with these realistic and delightful Pink Rose Tea Light Candles! Sold in a set of six, these lovely unscented pink rose candles come nestled in their own tiny wooden crate, protected by clear plastic and then tied with a matching pink satin ribbon. Poured by hand in Santa Fe, New Mexico, these little pink sweetheart rose tea light candles make great gifts for rose lovers or gardeners and are a charming addition to your deck or patio table. Each candle is approximately 1 1/2" in diameter. Set of two measures 1 1/2" H - 3 3/8" W - 5 1/4" L.
Click here for the set of six Red Rose Tea Light Candles (Item: MK-070R) - sold separately. Sadly, our manufacturer has informed us that they have discontinued these beautiful candles. Therefore, whatever we currently have in stock is our FINAL quantity, so place your order today before they're gone forever! Please note that all sales are FINAL on candles, incense, clearance and liquidation items. 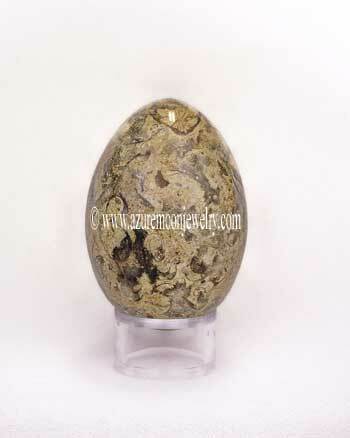 We do not offer exchanges or refunds on candles, incense, clearance or liquidation items.